Small cottage available in South Bay. Views to the Kaikoura ranges. Recently redecorated and has all the mod cons. Cottage has a small kitchen and lounge area. Cottage has 2 Bedrooms (1 internal and 1 sleepout) and the lounge has a pullout queen sofa bed. The cottage will sleep up to 4 people. Section is fully fenced, safe for young children and has off street parking for cars and boats. Cottage is handy to both public and private boat ramps and walking distance to beach and childrens playground. 5 minutes from the Pennisula walk. Basic but comfortable. Very quiet at night, some traffic noise during the day. Some amazing views out the back, great location for exploring Kaikoura, access to the walking/running trails on the peninsula within few min of walking is great. Great location. Close to town and hike. Lovely area. Can walk to the hike around the peninsula. Loved that!! The house is a bit rustic. Great for fishermen. Nice location. Comfortable, clean and all that we needed. 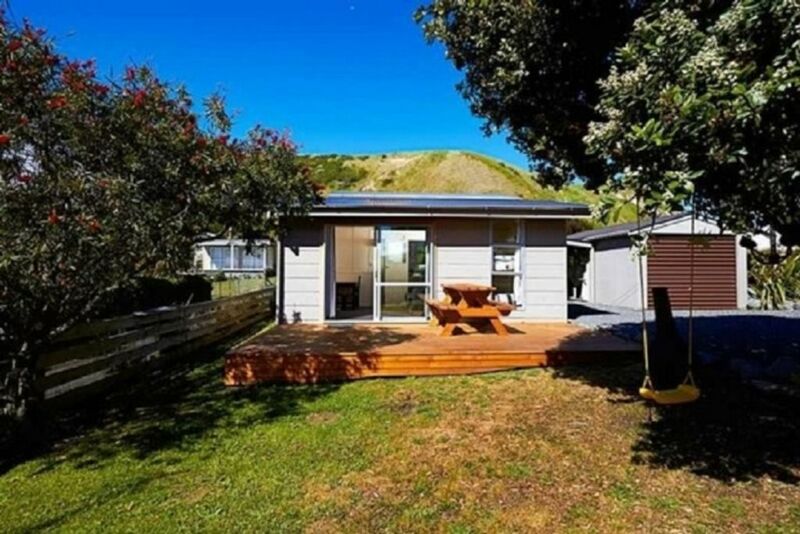 Close to the beach, short drive to the town. Many thanks for a great stay. Perfect little batch for our stay in Kaikoura. Would highly recommend.